SmartShift, the digital mobility start-up from the US$ 17.8 billion Mahindra Group, today announced the launch of its operations in Bengaluru, its third city after successful launches in Mumbai and Hyderabad. Aimed at enabling efficiencies in the last mile logistics space, SmartShift acts as a platform for cargo owners and transporters to work with each other, ensuring a mutually beneficial relationship. In just 16 months since launch, SmartShift has emerged as the number 1 industry player in both Mumbai and Hyderabad and has become the preferred choice for over 12,000 stakeholders, clocking approximately 1,200 transactions a day. The team is now geared towards its next ambitious milestone of creating a community of 1 million stakeholders over the next 3 years. We are delighted to start our operations in the city of Bengaluru and further expand our geographical footprint. As one of the top five markets for commercial vehicles, with a high rate of smartphone adoption in both cargo owner and the transporter community, Bengaluru holds immense potential for a digital platform like ours. Our pilot operations in the market have clearly indicated the latent need to bring significant cost efficiencies in last mile logistics, with high willingness of both owners and transporters to try aggregation platforms. According to a report, the logistics industry in India is pegged at $130 billion with 35%-40% of it being in the intra-city space. It is also estimated that 18 lakh small commercial vehicles complete millions of transactions daily, across the country. Going ahead we will not only focus on enabling improved business productivity for our customers but shall continually nurture customer relationships, moving beyond mere transactional business. With SmartShift, Mahindra offers transparent pricing, an efficient simple one-click booking process and the ability to track cargo after dispatch. As one of the biggest players in the CV industry, Mahindra understands and recognises this ecosystem and its dynamics. 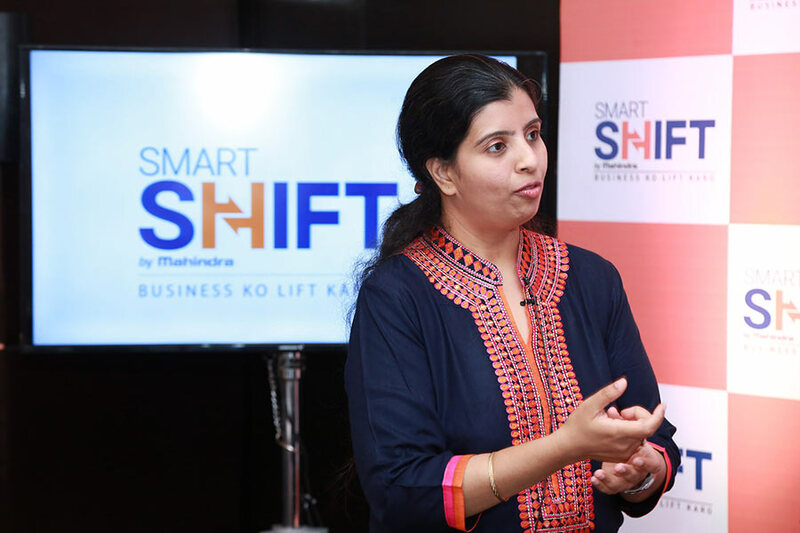 As the first intrapreneurial start-up incubated within the Mahindra Group, SmartShift combines the process, governance and discipline of a large mature business with the tenacity, nimbleness and fierce competitiveness of a start-up. The young team strongly leverages the multi-disciplinary mentorship of the Mahindra Group and unmatched privileged access to 150 Mahindra group companies, working as a seamless logistics solution partner in the ‘One Mahindra’ ecosystem.